The Washington Supreme Court should dramatically step up the pressure on the Legislature to solve the state’s basic-education funding problem. THE state Supreme Court has a right to be impatient on behalf of Washington’s citizens. Since 2012, the court has sent forceful message after forceful message to the Legislature and the governor telling them what they need to do to fulfill the requirements of the McCleary school-funding decision by the 2017-18 school year. Two summers ago, the court held the state in contempt but waited until after the 2015 legislative session to impose a $100,000-a-day fine. Justices have been giving lawmakers step-by-step instructions on how to fulfill their constitutional requirement to fully pay the cost of basic education, but they have failed every year to finish the job. The court should dramatically step up the pressure. Sometime in the next few weeks, the justices are expected to issue another report card on the Legislature’s progress toward fully funding basic education. The court’s next order will be the most important since justices ruled on the McCleary lawsuit in 2012. Lawmakers obviously need a bigger push from the Supreme Court. Justices should not wait until the end of the 2017 legislative session to take the next step. Take action now and give lawmakers a new tool and political cover to help them get the work done. Assign them a mediator to steer lawmakers and the governor toward hammering out an agreement that serves the state. This mediator should be someone with the gravitas and skills to actually help them reach a compromise. How about asking former Gov. Chris Gregoire to take on this task for the good of our state? She is a master negotiator who has a long list of grand compromise notches in her belt. Ask her to put her velvet gloves to work again. Yes, the Legislature has made progress every year, adding money to the state budget for education. But the ramp-up has been too slow to give anyone a realistic expectation that lawmakers will cut a deal this fall and finish their McCleary work when they convene in January. This is a multibillion-dollar problem, and the state doesn’t have billions of uncommitted dollars sitting around in a savings account. 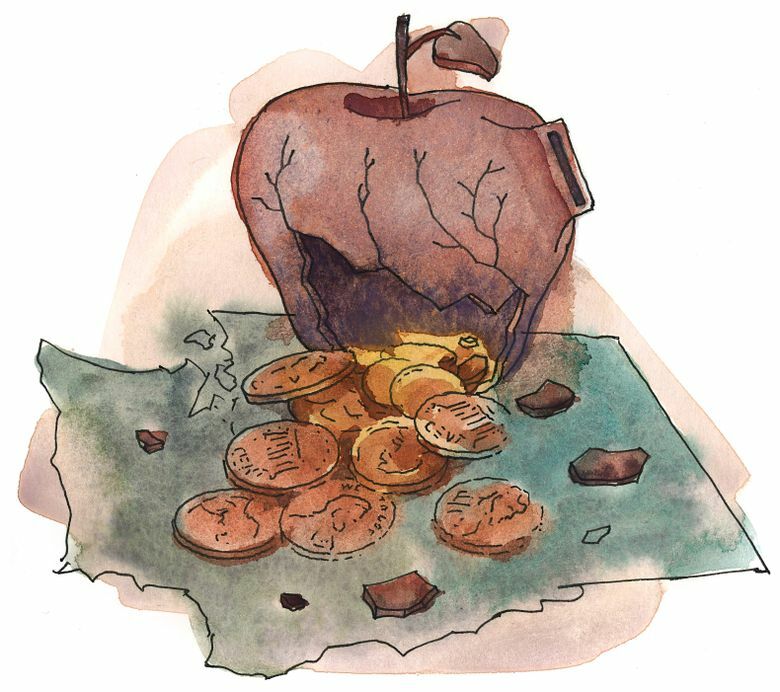 One major part of the 2012 McCleary decision is still unresolved: ending the state’s overreliance on local property taxes to pay for teacher salaries and other basic education costs that should be covered by the state. Last year, with the same deadlines looming and the $100,000 daily fine hanging over their heads, lawmakers from both parties sat together all summer and fall trying to reach an agreement. The result of all those meetings: merely a promise to finish the work — not this year, but in 2017. Not only have lawmakers left local-levy reform to the last moment, they also need to figure out how to shift tax collections from local jurisdictions to the state and raise new tax dollars. They need to move between $3 billion and $4 billion into the two-year state budget for public schools. These challenges are intimately linked to a need to reform the state’s teacher-compensation system. The state must not delay. More delay means only an extension of the inequity that plagues too many of Washington’s school children. The court has other options as well. Instead of fining the state, the court might start fining lawmakers, and the governor, if the work is not finished by the end of the 2017 legislative session. Other courts, such as ones in New Jersey and Kansas, have shut down or threatened to close schools to force legislative agreement on school funding. The wrath of angry parents no doubt would get the attention of elected officials. Don’t wait until next summer. Give lawmakers the tools and threats they need now.